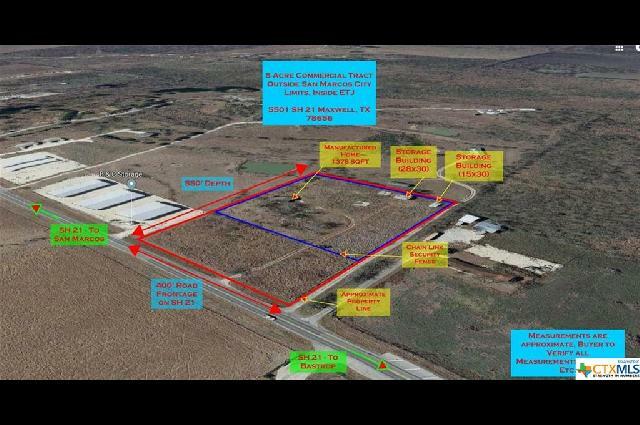 Commercial Tract. Approximately 400' Road Frontage on Highway 21. The Value is in the Land. Manufactured Home on Property. 2 Septic Systems. 2 Metal Storage Buildings on Slab Foundation (Approximately 28x30 and 15x30). No Zoning or Restrictions. Chain Link Security Fence with Gate Encompasses Rear Portion of Property. 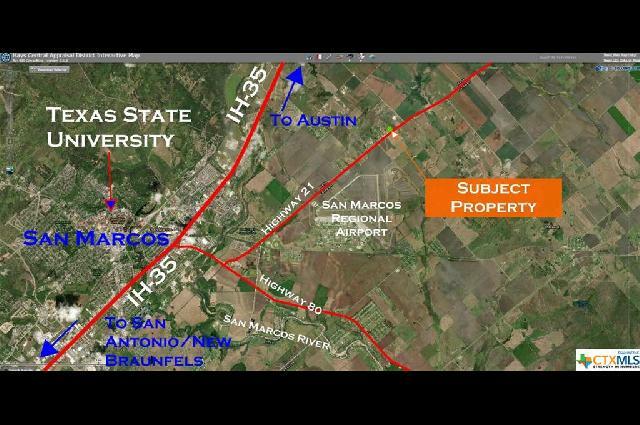 Being Outside of City Limits and Within the ETJ Makes Development Less Restrictive While Still Being 9 Minutes from I-35 and 13 Minutes From Texas State University (~39,000 Students). Nearby Developments Include the FM 110 Loop Around San Marcos (TX DOT Project), Sunset Oaks Subdivision of Approximately 2,300 Homes (Planning Phase), and Whisper Development (Under Construction) off I-35. Nearby Attractions Include the San Marcos Regional Airport, San Marcos River, Texas State University, Amazon, and San Marcos Premium Outlets. Perfect for Construction Yard, Storage Facility, Mixed-Use Potential. Bring your Creativity. Owner Financing is a Possibility.